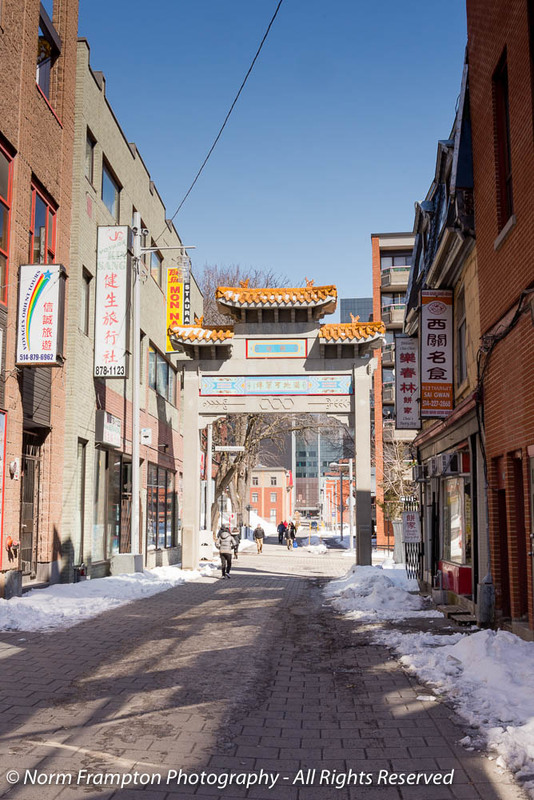 You’ll find Montréal’s Quartier Chinois – Chinatown district wedged into a roughly six block by two block area between the southern part of downtown and Old Montréal. Last weekend we were down there with a few family members for our traditional spring Dim Sum outing. Compared to some of the larger Chinese communities in North America such as New York or San Francisco, Montréal’s is not nearly as big. And it could certainly use some tidying up and maybe a fresh coat of paint. But it is full of interesting sights, sounds, and flavors. Which is why I try to explore the area at least a few times a year. 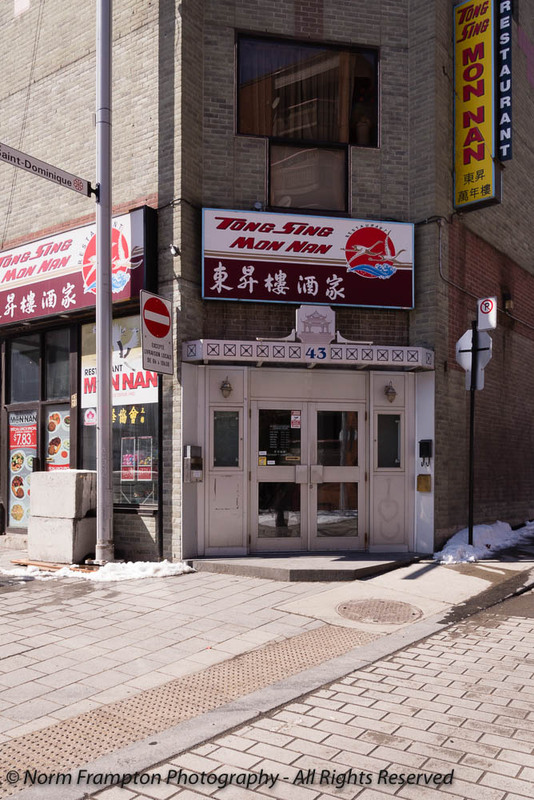 I had forgotten that most of Chinatownn is just small shops and restaurants with plain steel and glass entrances. So I have to admit I was a bit disappointed by the overall the shortage of interesting doors. All the same, the afternoon stroll did net me a few nice discoveries. And some interesting street art as well. Do you have a favorite neighborhood you like to explore in your home town? As always I thank you for stopping by. 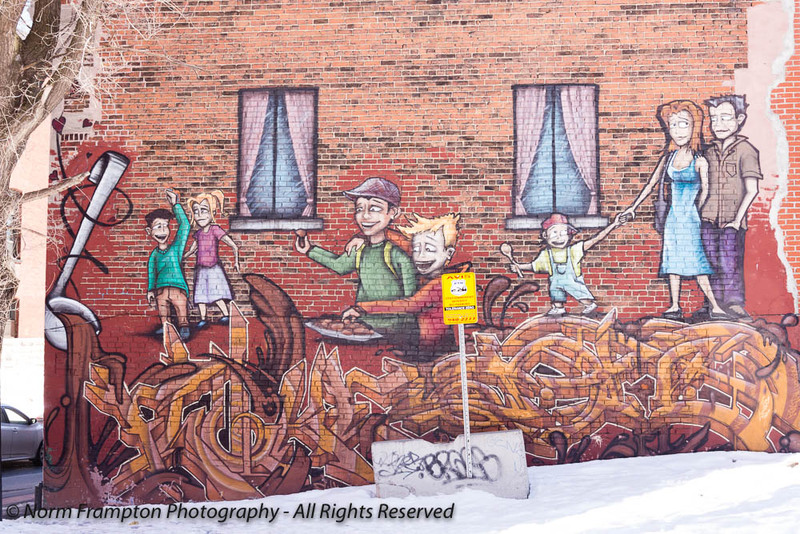 Gallery | This entry was posted in Photography, Thursday Doors and tagged Canada, Chinatown, Dim Sum, Doors, Downtown Montreal, Dumplings, Montreal, Old Montreal, Québec, street art, Thursday Doors. Bookmark the permalink. I love street art. It seems like an interesting of doors and architecture as well. I like those colored awnings and the Luwan bar has a cool entry. 🙂 I need to get out and explore my own city more often! 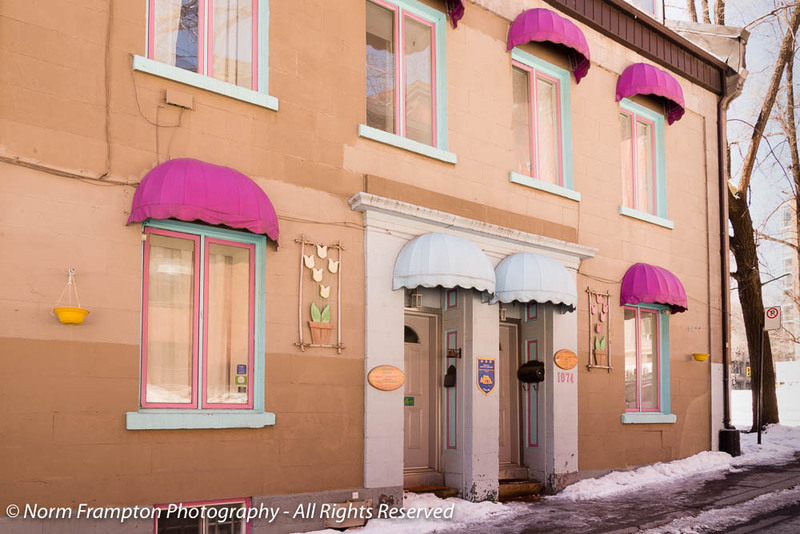 Gotta love those pink awnings! That’s a neat doorway at that bar. I like that street art too. I’m not disappointed by your wonderful post this week… it’s lovely to see the area and there are some very cool street shots in the post, it all looks so vibrant and really interesting! Nothing from me this week, I was in the air, but I have feet on the ground in Amsterdam…hmm, I’m already in door heaven! Thanks Vicky, glad you liked them. 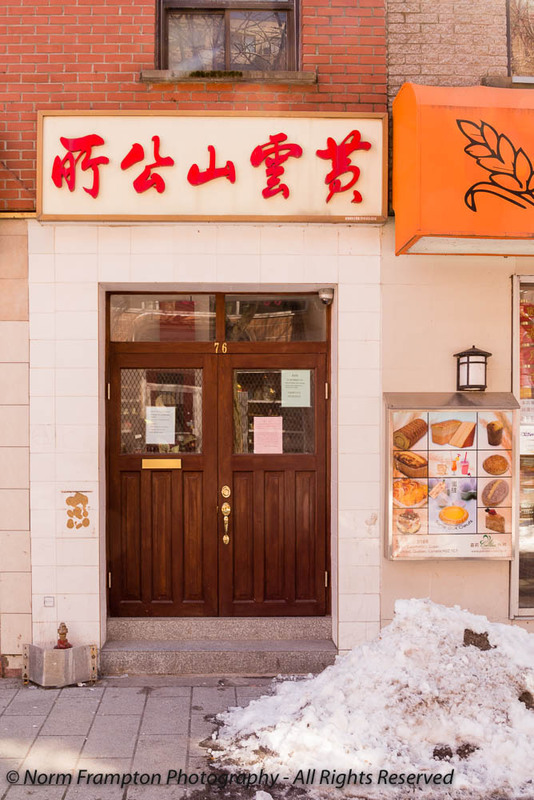 I remember discovering Montreal’s Chinatown and being surprised how small it was too. I enjoyed wondering around, though, and I’m glad to revisit it through your photos. I don’t remember the keyhole door or the chicken, but I do remember the mural. Is the big rooster a special ornament for a holiday or always there? I think your doors are very interesting. No apologies needed. 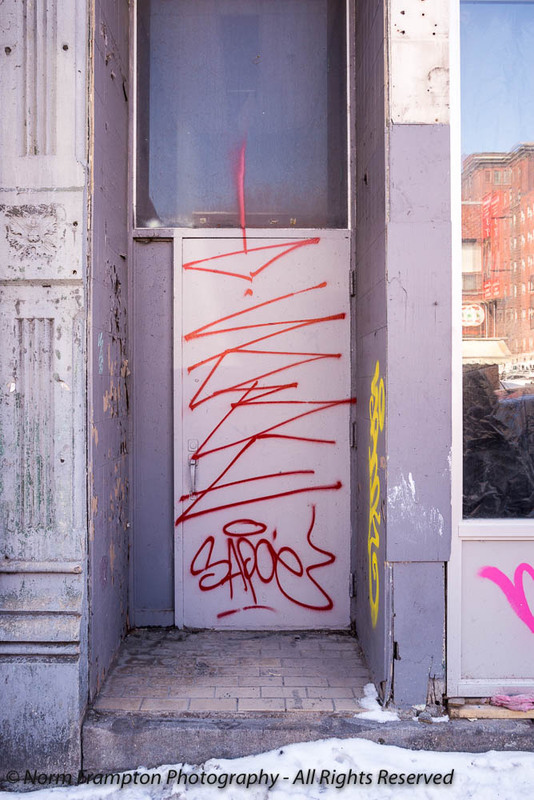 These doors of Chinatown look nicer than in China (more taken care of). In the buildings one can see that China is in some sense a third world country. In big cities (2 million and up) they have whole streets where they have stores in their garages! The hygienic standards are much below that of the West. One time, on our way to McDonalds in Zhen-zhen (the most modern city, across from Hong Kong) we saw a street market. I was sorry telling hubby “let’s see what they have there.” They were “cleaning” the shrimp on the concrete floor on the path of where people also walked. We saw beef cut in half in the open air (it was high 80-90 degr. F) with flies around, etc. I had no breakfast that day …. Such as unusual assortment of doors! Love the purple awnings! I absolutely love China Towns everywhere. Lots of quaint and quirky small shops and restaurants. And as your photos show…so much more! I’ve been away for awhile (and a tad rusty). Nonetheless, here’s my shot at today’s challenge! Hi Norm, here is my entry this week. These are all great doors — I appreciate that you suffered through a lot of standard glass to bring us these. I really love the keyhole and the one with the otter red frame and the inner closed gate. Also, I now want dumplings more than anything in the whole world! 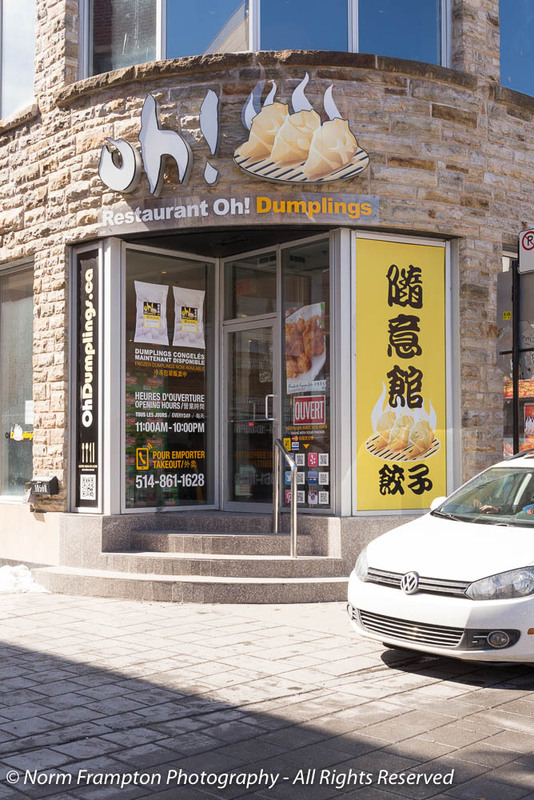 Oh Dumplings, indeed! Thanks Joey. For a doorscursion that started out looking a little bleak I’d say it turned out to be a productive day. I get the dumpling craving a few times a year and when I do, I gotta go into town for the authentic stuff. gosh I haven’t been to Chinatown in Montreal for years, it was always “colourful” every space was utilized. The smells from the shops were always a draw for me. In Ottawa, we had one street, Montreal seemed so big time. I’ve since traveled to SanFran, Vancouver and NY and been to the Chinatown’s there. Even Toronto is bigger.. it is spread out tho’ to Richmond and other areas too. Thanks for the trip down memory lane. Is it still a tourist destination? are the good restaurants there, or in the bigger Chinatown malls? I only realized how small our Chinatown was after my first visits to NYC and San Fran. Yes, the good authentic restaurants are still there. Not many tourists. From what I saw it seemed like mostly locals. We walked over to old Montreal afterwards and there were boatloads of tourists there. You spoil us! Those are ALL interesting doors! Love these pics. It looks like Chinatown color scheme was chosen by toddlers. So many bright, primary colors! I can’t wait to visit Montreal! Welcome – so glad you were able to join us this week. Yes the colors in Chinatown are hard to miss and the food is amazing too. Great doors! Thanks for taking us along in your stroll. Love the street art!! This link doesn’t work. Did you copy it while the post was still a draft? I think you have to save or schedule the post for it to give you an active usable link…I don’t know what else it could be. I also love the Luwan door, so interesting. 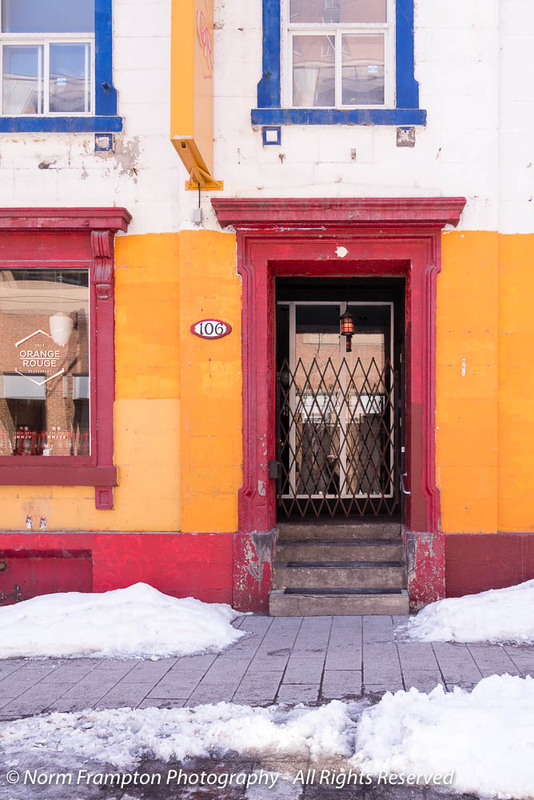 The whole post is a treat, since I love Montreal. Such a great city to wander. 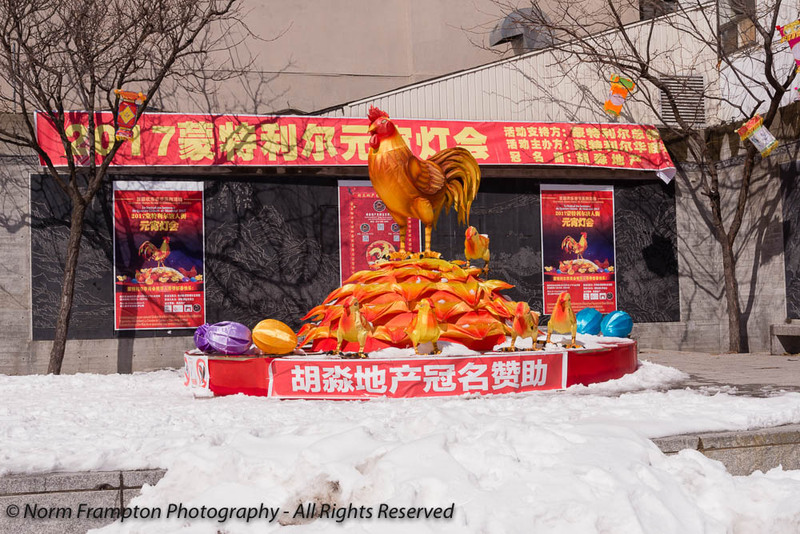 it’s interesting that chinatown in montreal isn’t as vivid as the ones in NYC or san francisco, but i love the rooster standing on a big pile of…well, i can’t figure out exactly what. feed sacks? i’d love one of those roosters for my back yard! Hi Norm, trying to add my link, but the URL section is giving me Maximum Characters : 50 – error and I’m not able to add my link. There is no max character limit for the url/link field, only for the name field (50 characters) – is it possible you’re inverting the two? Honestly I’m not sure. I am adding the URL of my post in the box with URL heading. I added finally 🙂 Thanks for the help. 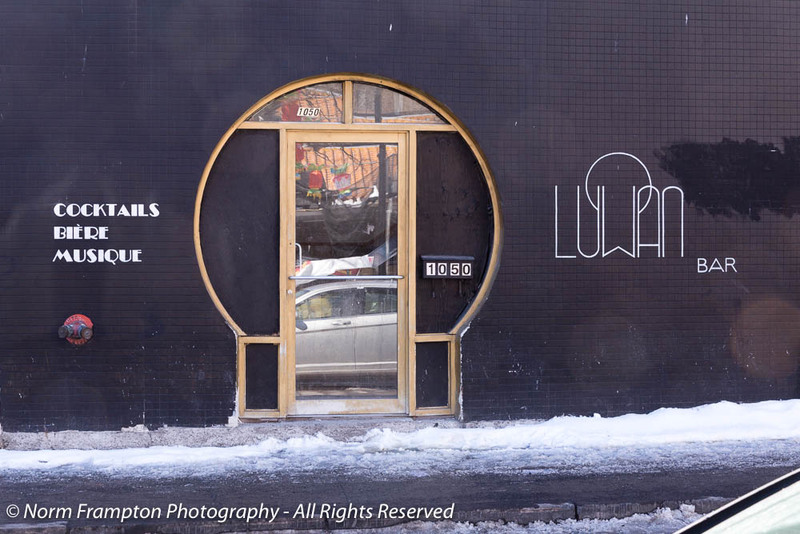 My vote is for the *Luwan* door too. The keyhole design is really interesting in spite of the plain functional door. Thanks Joanne. I almost skipped the Luwan door because of how plain the doors were but my gut told me it would make an interesting image. Thanks Dan. I HAD to take those Mission style doors, they were just about the only all-wooden doors around. It is fun exploring places that seem so different, yet still so close to home. 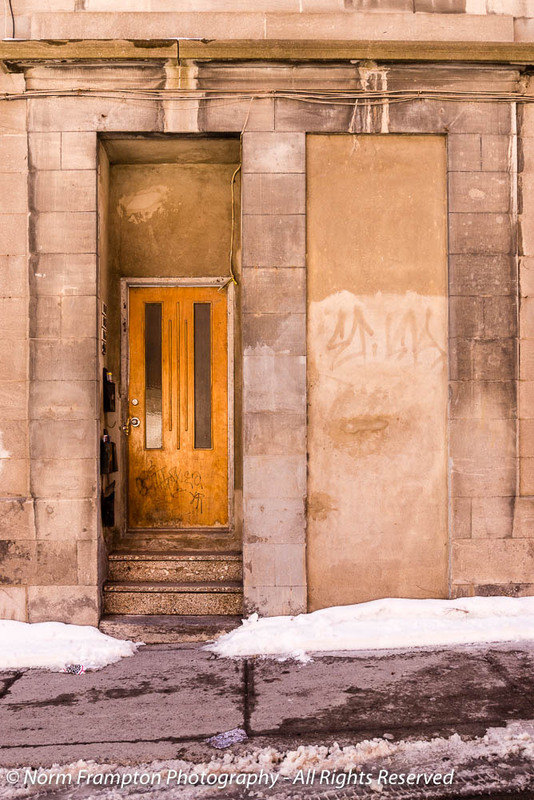 These may not be ‘your’ usual historic doors, BUT I bet they lead to some culinary delights. 🙂 Love the wall mural. 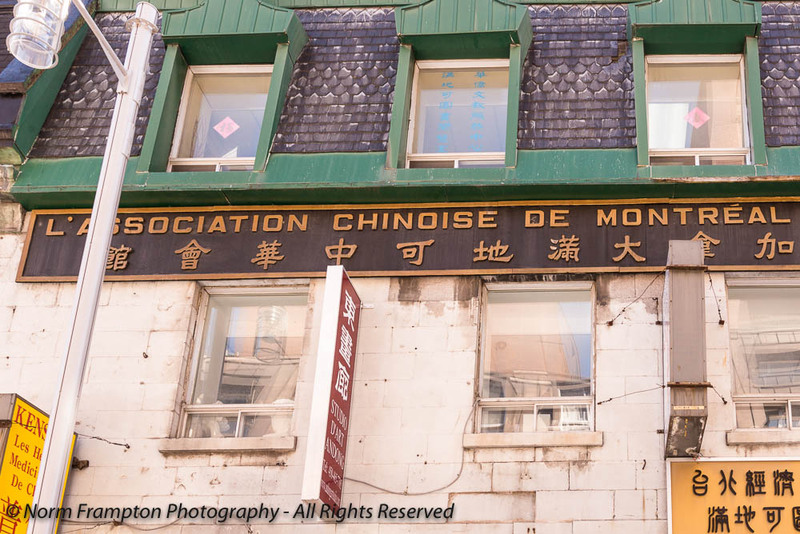 Norm, I enjoyed my walking tour of Chinatown in Montreal! My favorite door was #43, with its distinctive look. Those beautiful arches were so nice to see. The cherry wooden look to the burgundy arch (pergola) with turquoise rectangle added a nice contrast. superb photos – I love the colours. 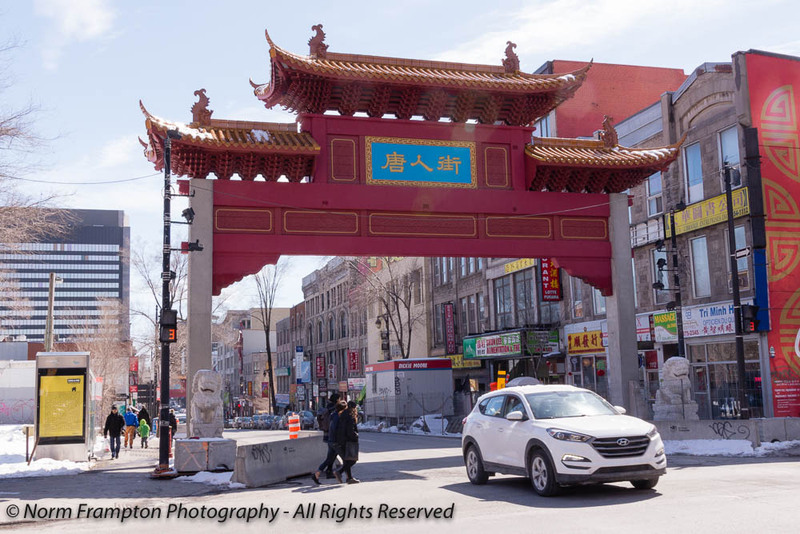 I vaguely remember visiting Chinatown when I lived in Montreal many, many years ago (I don’t remember exactly where as I was a child at the time). Oh yes, no door can hide where Norman rides. 😀 I love that slick Luwan one, and the one below, and the one more below!